Irrespective of whether a building is commercial or residential, problems concerning the roof can arise in any building. However, the large majority of those issues are preventable if you know what to look for and if you take care of the roof regularly. A lot of factors influence a roof’s overall performance and its shelf life; the design quality, installation, the products, the maintenance of the roof, use and abuse, the weather that it has to bear, etc. Of course, the most obvious solution to this is to call someone who knows what they’re doing and letting them handle the job for you! That’s why you should always have the number of a well-reputed service for Commercial Roofing in Dallas, TX. 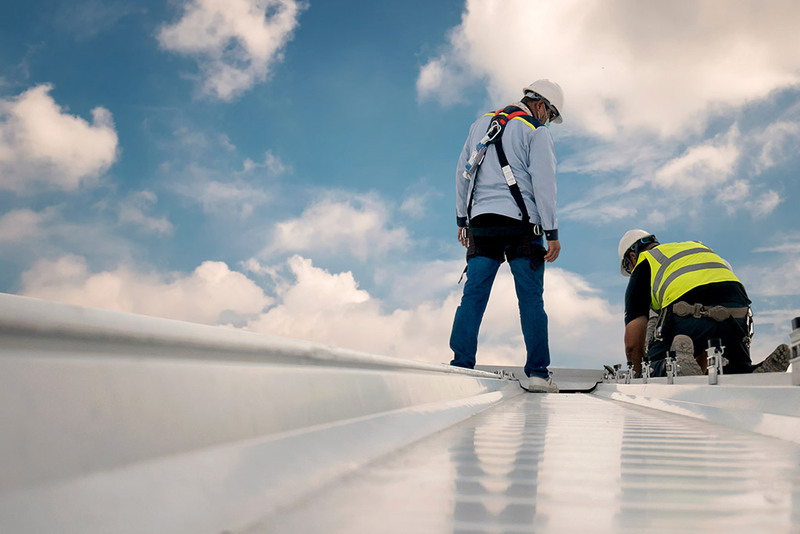 Here are the ten most common problems that occur with commercial roofs and the things that you can do to prevent or solve those problems. Nowadays, it’s almost a cliché to see a film with a leaky roof. It was usually used to signify that someone is down on their luck and that someone is broke. However, leaky roofs can happen in the most expensive high rises and the smallest of houses. It’s not something that is to be taken lightly either. It can result in a lot of equipment, important paperwork or household objects getting ruined. Hence, you need to address it as soon as possible. Usually, a company that does Commercial Roofing in Dallas, TX can hook you up with a great package for preventive maintenance. It’ll lessen the chances of interior water intrusion building up while you’re unaware. This is also called tenting or billowing. It occurs when the roof doesn’t adhere properly to the substrate layer laid down. The single ply roofs laid down are at the most risk of blow off or billowing. However, this problem is easily solvable. You can ask your roofing contractor or licensed professional from a company that does Commercial Roofing in Dallas, TX to give you the exact specifications when installing a new roof. Knowledge truly is the best thing that you can have at your disposal to avoid any sort of problem in the future. This is just the result of bad Commercial Roofing in Dallas, TX. You don’t want to be caught with a bad job done after you’ve paid full price for it. This is why it’s always important to go for a service provider who is verified and has been recommended by the local authorities with their seal of approval. Don’t go to a place that has just opened or seems shady and unreliable. You can also ask for a lot of information when you hire the contractor. The best way is to ask for a checklist that is specific to the roof system. You should also ask for moisture surveys. Furthermore, roofs with insulation should be surveyed prior to being overlayed via nondestructive methods. This is a redundant point, but it needs to be mentioned. All sorts of problems can arise with your roof if maintenance is not done regularly. There is a constant need to check up on the roof from time to time. Therefore, you need to contact a company for Commercial Roofing in Dallas, TX to give you a maintenance plan starting from year one. Don’t hesitate to splurge for round the clock service either. You’ll thank yourself for spending when the time comes. According to the National Roofing Contractors Association (yes that is a thing), the amount of time that passes for water ponding to become undesirable is 48 hours. This is a serious issue that can cause huge damages to your roof and can pose a threat in even shorter time spans depending on how much water has gathered on your roof. A 1-inch deep pond weighs around 5.2 lbs per square foot and the additional weight of the load can pose a threat for the structure itself. There is a very real chance that the roof will collapse if it isn’t cleaned up in time. Hence, it’s important to ask a company that does Commercial Roofing in Dallas, TX to create tapered roof insulation or drains so that the water doesn’t gather in large quantities on your roof. This usually happens in the single ply roof systems. Damage from foot traffic and general activity on the roof can cause this. Punctures can occur and cause leaks. Multi-ply roofing usually withstands more activity and even a cursory inspection can help you see the threat, especially after there has been a lot of activity on the roof. Fires, odors, slips and falls are all the things that can occur on the roof. So you should make sure that you have the personal protection equipment like glasses, boots and hard hats to check that out. It’s better to let someone from a company that does Commercial Roofing in Dallas, TX handle it though. Make sure that you deal with a licensed and verified company to avoid this. There is a real danger that you may get someone who doesn’t know what they’re doing. They may end up doing more damage than good! Poor repairs can exacerbate the problem and worsen it far more in some cases. The biggest evidence of this is flashing pull away from the wall or the curb and the crazing and cracking of an uncured membrane. This is, again, very common in single ply roofs. Make sure that you conduct two visual inspections per year, in the spring and in the fall, to avoid any problems like these. Usually, someone who has done Commercial Roofing in Dallas, TX can help you out. BUR roof systems usually have these problems as do single ply systems. Companies that do Commercial Roofing in Dallas, TX always watch out for this problem when doing roofing. Hence, always make sure to check out the verified and licensed companies when you go hunting for someone to do commercial roofing. If you want the best in Commercial Roofing in Dallas, TX then call Longhorn Commercial Roofing. Their licensed professionals are awaiting your call. What are you waiting for?